Sweat Pea with two of her pups. 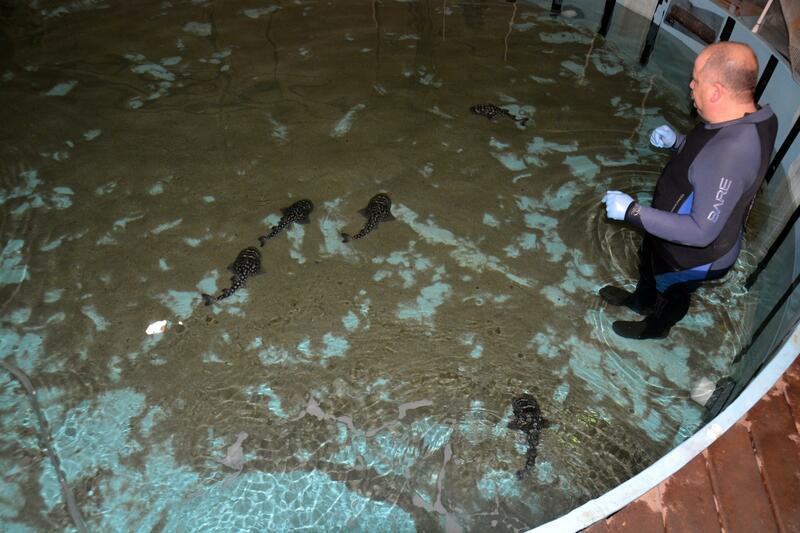 An aquarium staffer monitors the newborn shark ray pups. 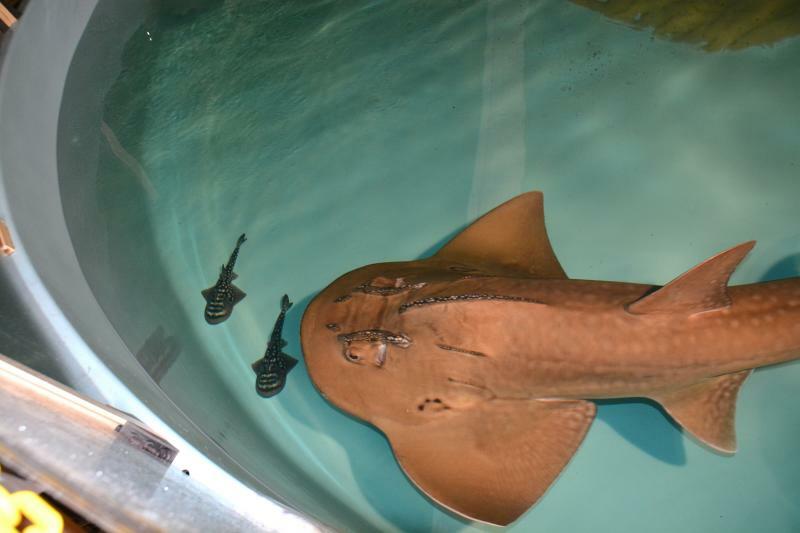 The Newport Aquarium is celebrating the arrival of six shark ray pups.